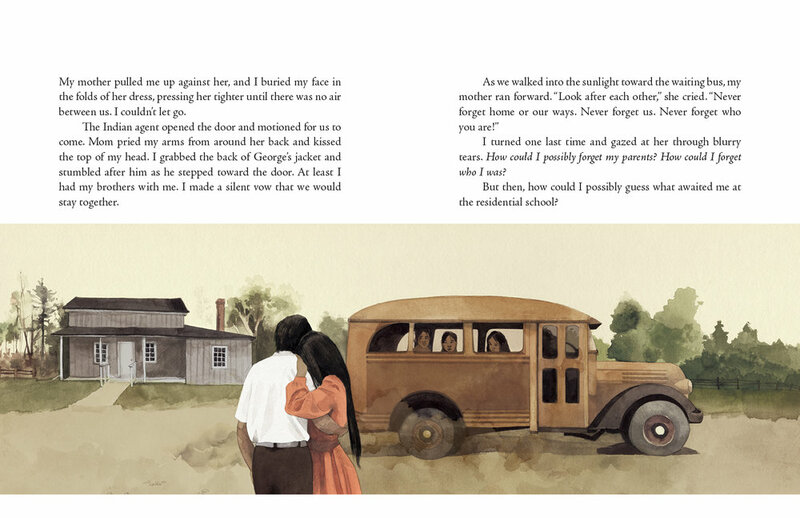 A true and personal story of Canada's residential school past. Dr. Jenny Kay Dupuis is of Anishinaabe/Ojibway ancestry and a proud member of Nipissing First Nation. She is an educator, researcher, artist, and speaker who works full-time supporting the advancement of Indigenous education. Jenny’s interest in her family’s past and her commitment to teaching about Indigenous issues through literature drew her to co-write I am Not a Number, her first children’s book. She lives in Toronto. Kathy Kacer is well known for her children’s books about the Holocaust, including The Secret of Gabi’s Dresser and The Magician of Auschwitz. Her books have won many awards, including the Silver Birch, the Red Maple, the Hackmatack, and the Jewish Book Award. A former psychologist, Kathy now travels the globe speaking to children and adults about her books. Kathy lives in Toronto with her family. Gillian Newland is an artist who works mostly in watercolor, ink and pencils. She finds most of her inspiration to draw outside of her studio, and can sometimes be found sketching her fellow customers at a coffee shop. She is the illustrator of The Magician of Auschwitz and many other books. Gillian lives in Toronto.